EventHorizon endurance sport offers personalized & semi-personalized dynamic one-on-one training and coaching for all endurance events. Monthly and one-time fee payment options. Downloadable programs including eBooks, calculators, dashboards and videos. Low cost education stream solutions. 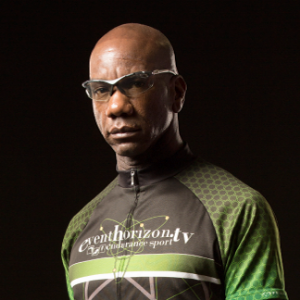 Founder, coach and Managing Director of EventHorizon endurance sport. Tony is the Guinness World Record Holder for the fastest Indoor Ironman distance triathlon. BS, Boston College; MS, Boston University; USAT Level II Certified Coach; TrainingPeaks Level 2 Certified Coach; USA Cycling Level 3 Coach, USMS/ASCA Certified Masters Swim Coach; American Red Cross Certified Swim Instructor & Lifeguard; 11x Ironman Finisher; Finisher of over 100 long course endurance events over 16 years including numerous 70.3 races, nearly 70 marathons of which, 16 are consecutive Boston Marathon Finishes and a Boston Marathon Qualifier. Philosophy: Training should be centered in the best science available. Activities related to self-propelled motion are the most efficient means of enhancing fitness and performance. Success. Coach Tony Rich has been notified of your message. To hire Tony Rich as your coach, select the coaching service that is right for you.